About 8 or 9 years ago I did a series of photographs of old houses and barns from the south, mostly from North Carolina. It was called Southern Comfort. Living in Barcelona allows me to really photograph some great new and old architecture but I still have a love for the back roads of the south. On my current visit to the US I am trying to expand on Southern Comfort to include some abandoned treasures and few buildings from small towns. 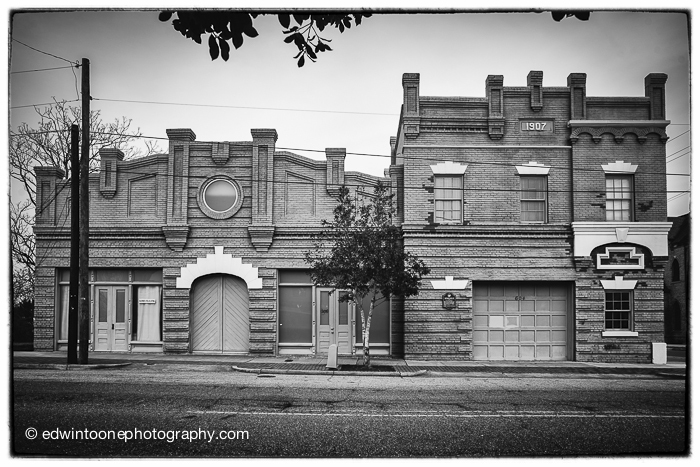 After taking the picture of Harrell’s yesterday I realized that these small town streets are also a very important part of the old south and must be included. Edwin where are you photographing? In NC? I just love this picture, so I had to share it.